I had the opportunity last month to board the Carnival Vista while it was being turned around in Miami. I used this to document the ship for CruiseInd. This review will encompass the public areas and a majority of cabin categories. It will consist of high-res panoramas and 360 images. The 360 photos can also be opened on your phone and you can spin around with them. You also can also use your phone via google cardboard and have a VR tour. It’s pretty cool so make sure to try it out. Deck 02 also contains only cabins. However on this deck, in addition to the inside and outside cabins, there are cove balcony cabins. These are like normal balcony cabins except they are a bit more sheltered than a typical balcony cabin. There is also the Family Harbor cabins here. These are designed for families of 3-4 staying in the same cabin. The harbor lounge also features breakfasts and snacks here so you don’t have to walk up to the buffet at the top of the ship. It’s quite convenient for families. Deck 03 is where the public areas start. It’s also where you enter the ship when first boarding. The forward part of the deck has inside and outside cabins. Just aft of those cabins is the main atrium. Before you get there however, are the guest services desks. 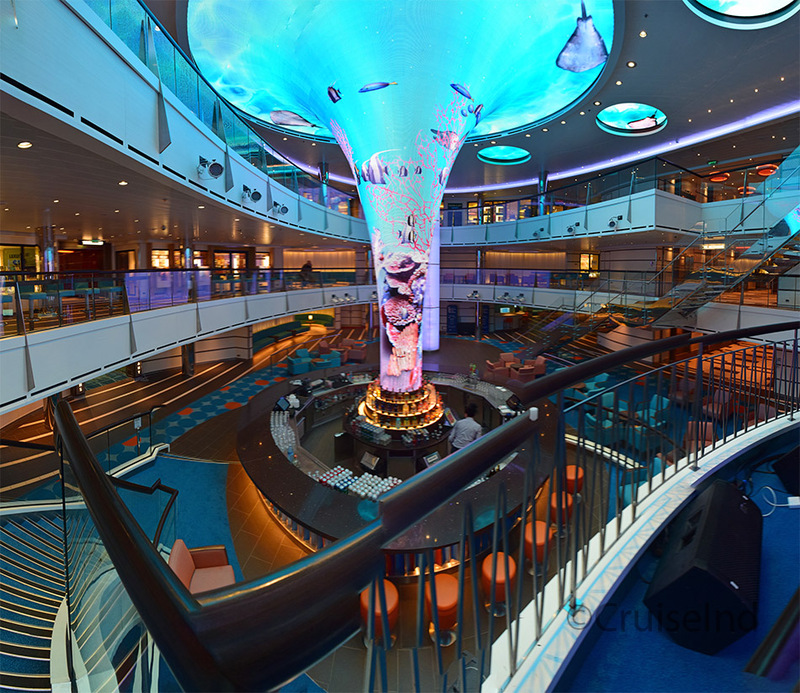 The atrium is one of the main gathering areas onboard. There’s a bar that always staffed and live music playing throughout the day. There’s also this massive cone-shaped LED screen down the middle. Walking past the atrium, you enter one of the two main restaurants, Reflections. At the very back of the ship is Horizons Restaurant. 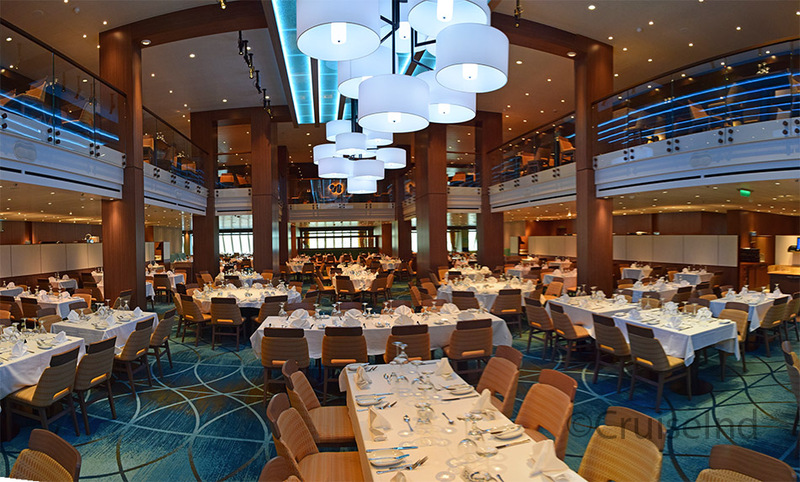 The two restaurants are separated by the galley so you are unable to walk the complete length of deck 3. 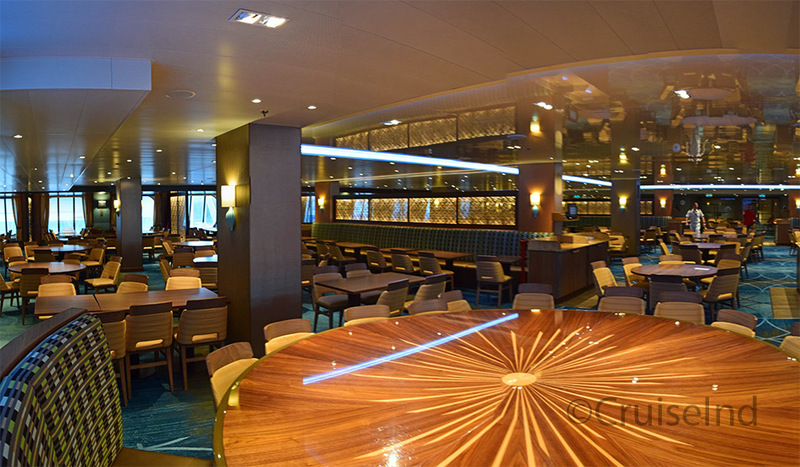 Deck 4 features the Liquid Lounge at the very front. 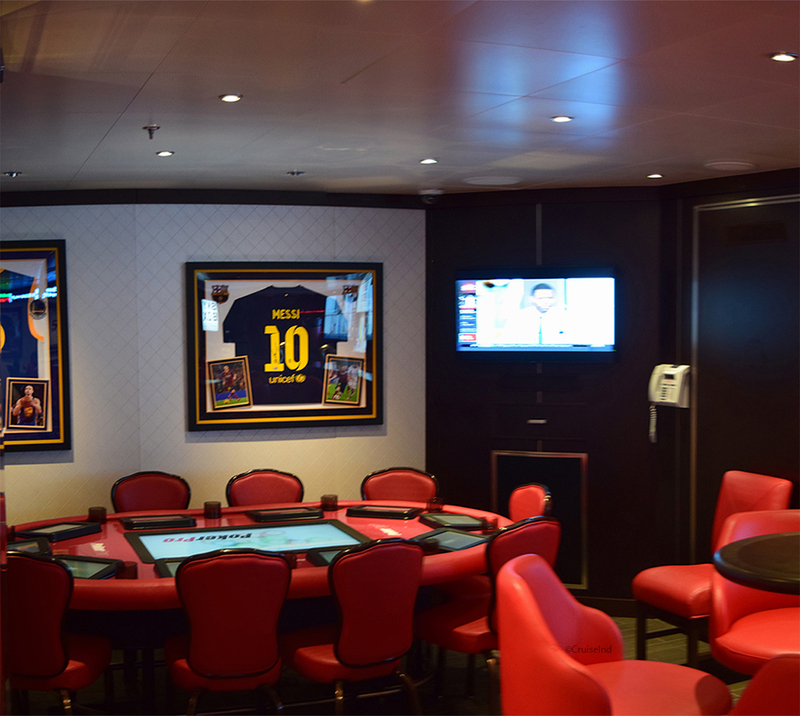 This is a multipurpose area that can act as both the ships main theater, as well as a club with dance floor. Walking past that is the second level of the atrium. There are two shops off of this level, but most of the main shopping areas are on the deck above. There’s seating alcoves in the corners. Past that you enter into the Vista Casino. The casino runs the full width of the ship. After walking through the casino you have the teen club entrance on the port side. On the starboard side starts the lower promenade. The sports bar, Skybox, is off of the promenade. Also the art gallery is there as well. At the end of the promenade is the Limelight lounge. 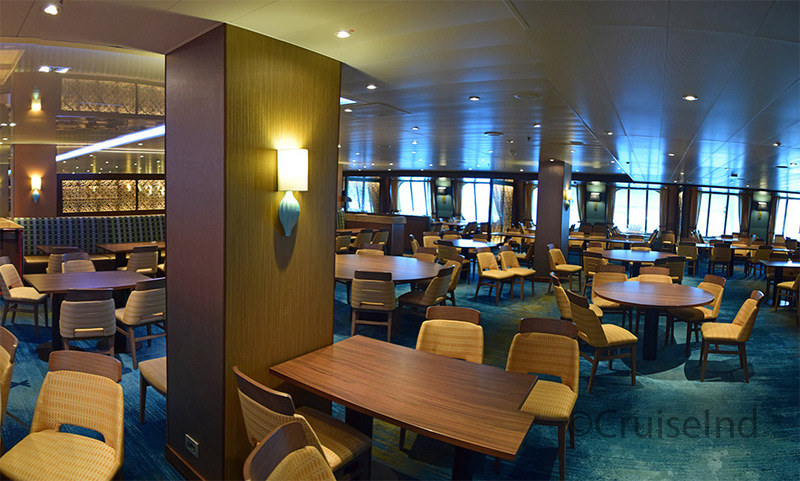 This serves as the alternate lounge on the ship. Previous Destiny and Conquest vessels had this as the aft lounge over the dining rooms. At the very end of deck 4 is the second story of the Horizons restaurant.